Looking at making changes to your home can be a daunting task, not to mention an overwhelming one. It starts with an idea and before you know it, you can be stressed out, overspent and panicking, but making improvements at home doesn't have to be such a dramatic production. The simple addition of a few accessories here and there can really improve your surroundings. 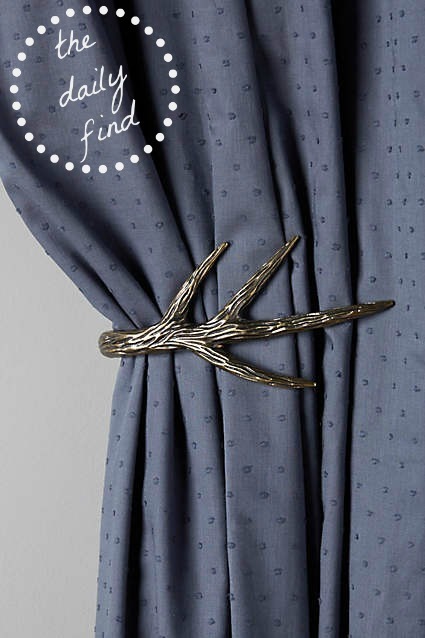 Currently I'm obsessed with getting the curtains in my flat in order and I've got my eye on this beautiful Curved Antler Tie Back from Anthropologie. At only £16, this beauty will give maximum impact with very little investment… Score!